Großer Protest gegen den Landesparteitag der AfD erwartet: Gemeinsam gegen rassistische Hetze! 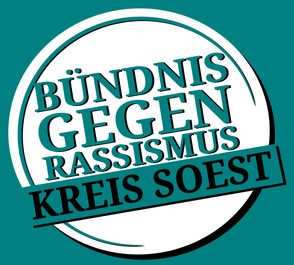 „Wir werden uns der rassistischen Hetze und der menschenverachtenden Politik der AfD entgegenstellen!“, so lautet die Ansage des Pressesprechers vom Bündnis gegen Rassismus Kreis Soest, Sven Sladek. Das Bündnis plant massive Proteste gegen den bevorstehenden Parteitag der AfD am 02. Juli in Werl und wird dabei von zahlreichen Gruppen aus ganz Nordrhein-Westfalen unterstützt. Es gibt eine gemeinsame Anreise u.a. aus Dortmund, Düsseldorf, Köln, Münster, Hamm, Bielefeld und Paderborn. Schon jetzt ist klar, dass der offen völkisch-rassistische Teil der AfD auf dem Landesparteitag weiter an Macht gewinnen wird: „Viele Liberale Mitglieder der AfD sind bereits aus der Partei ausgetreten und auf ihren Demonstrationen arbeitet die Partei " offen" mit Neonazis zusammen. Die AfD stellt eine Gefahr für unsere demokratischen Werte dar“, so Sladek weiter. Howdy, I believe your website may be having internet browser compatibility issues. Whenever I look at your web site in Safari, it looks fine however, if opening in IE, it has some overlapping issues. I just wanted to give you a quick heads up! Other than that, great website! Oh my goodness! Impressive article dude! Thanks, However I am having problems with your RSS. I don't know the reason why I can't subscribe to it. Is there anybody else getting the same RSS issues? Anybody who knows the solution will you kindly respond? Thanks!! Normally I don't learn post on blogs, but I would like to say that this write-up very pressured me to take a look at and do it! Your writing style has been amazed me. Thanks, very great article. Hi, always i used to check webpage posts here in the early hours in the break of day, because i love to gain knowledge of more and more. Everything is very open with a really clear explanation of the challenges. It was truly informative. Your website is useful. Thanks for sharing! Hi everyone, it's my first pay a quick visit at this site, and article is genuinely fruitful for me, keep up posting these content. I am genuinely grateful to the holder of this site who has shared this great piece of writing at at this time. My coder is trying to persuade me to move to .net from PHP. I have always disliked the idea because of the costs. But he's tryiong none the less. I've been using WordPress on a variety of websites for about a year and am anxious about switching to another platform. I have heard excellent things about blogengine.net. Is there a way I can import all my wordpress posts into it? Any kind of help would be really appreciated! Hey just wanted to give you a brief heads up and let you know a few of the pictures aren't loading correctly. I'm not sure why but I think its a linking issue. I've tried it in two different browsers and both show the same results.